"It is with utmost delight that I extend a very warm and hearty welcome to all visitors. 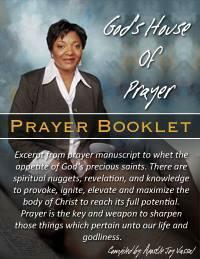 It is my prayer that as you journey through, you will be edified, strengthened and comforted. May you encounter the illuminating power of the Holy Spirit, so that you will have an understanding that you are rooted and grounded in the Lord. 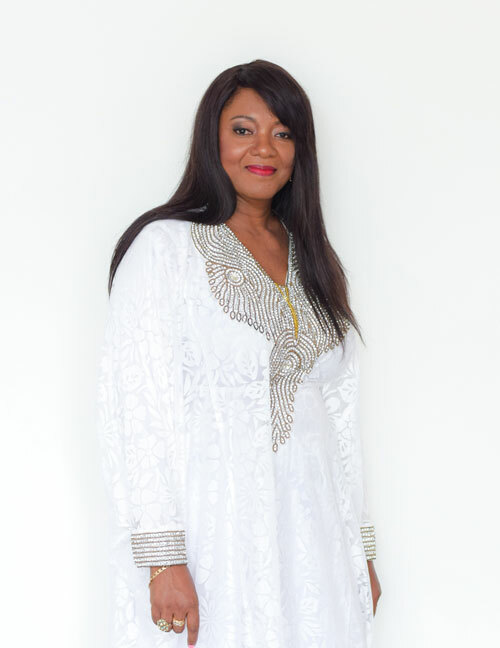 May His word in you, as you are in Him, give you confidence to become what He has called you to be; bearing much fruit for Jesus in the name of Jesus Christ. 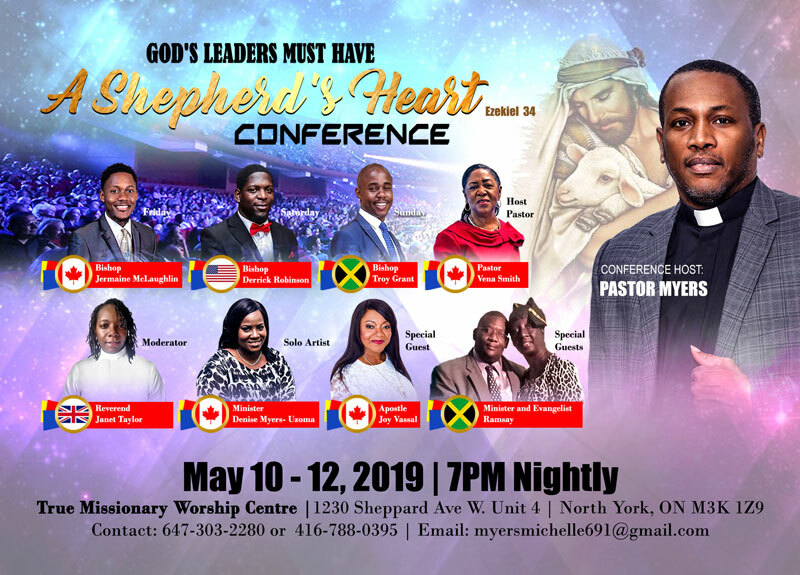 Join us on May 10 through 12, 2019 every night at 7pm for "A Shepherd's Heart Prayer Conference" at True Missionary Worship Centre, 1230 Sheppard Ave. West, Unit 4, North York. For more information please call 647-303-2280. 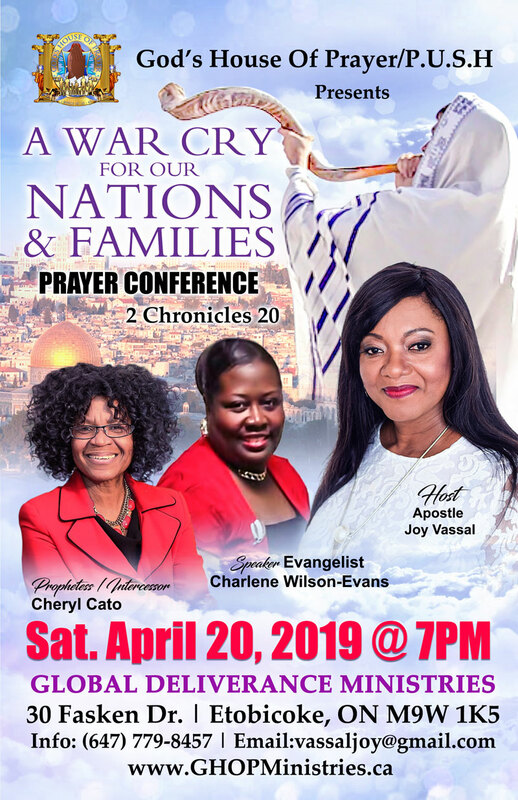 You are invited for Saturday April 20, 2019 for an special event: A War Cry for our Nations and Families Prayer Conference at Global Deliverance Ministries, 30 Fasken Dr. Etobicoke. For more information please call 647-779-8457. 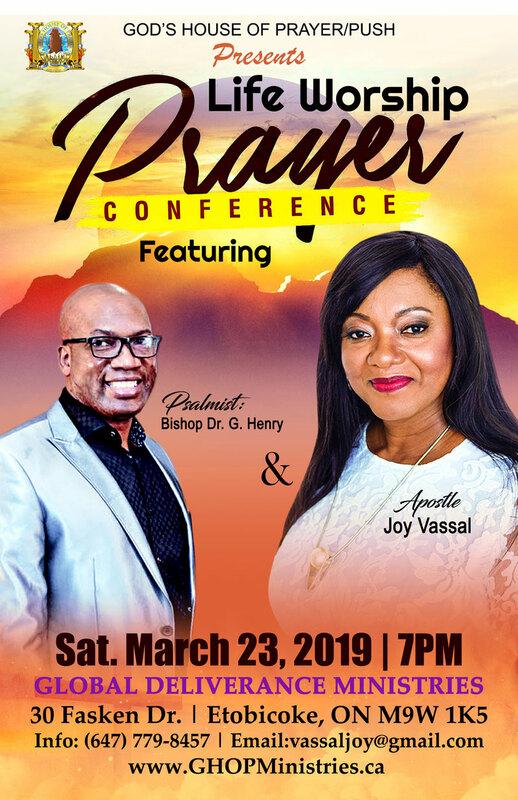 Join us on Saturday March 23, 2019 for our "Life Worship Prayer" Conference at 7:00 pm. 30 Fasken Dr. Etobicoke, ON M9W 1K5. For more information please call 647-779-8457. Join us on Sunday March 10th for "Elevation Sunday" at 11:00 am. 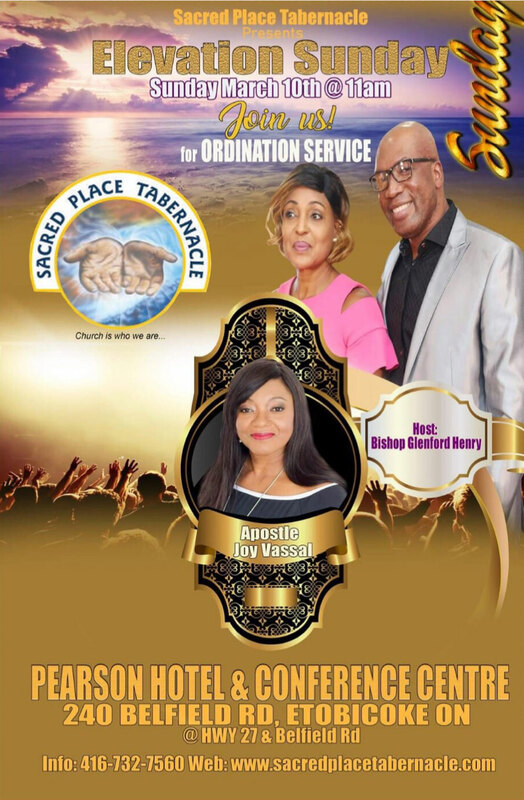 For more information please call 416-732-7560. 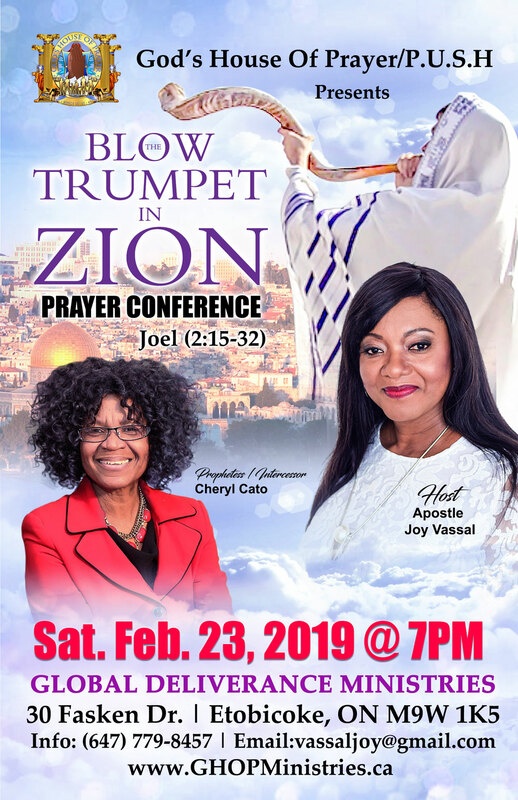 Join us on Saturday February 23 at 7pm for "Blow the Trumpet in Zion" Prayer Conference. For more information please call 647-779-8457. 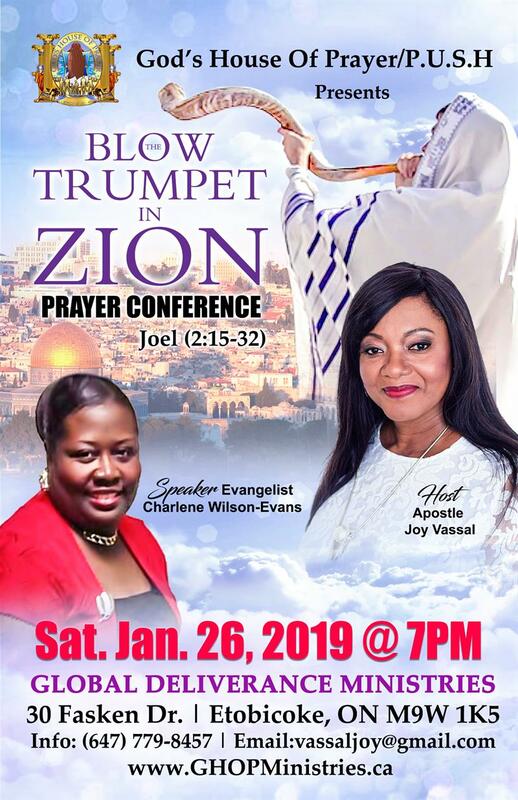 We invite you to join us on Saturday January 26 2019 @ 7pm for a Prayer Conference with the theme "Blow the Trumpet in Zion". We invite you to join us on Saturday November 24 2018 @ 7pm for a Prayer Conference. 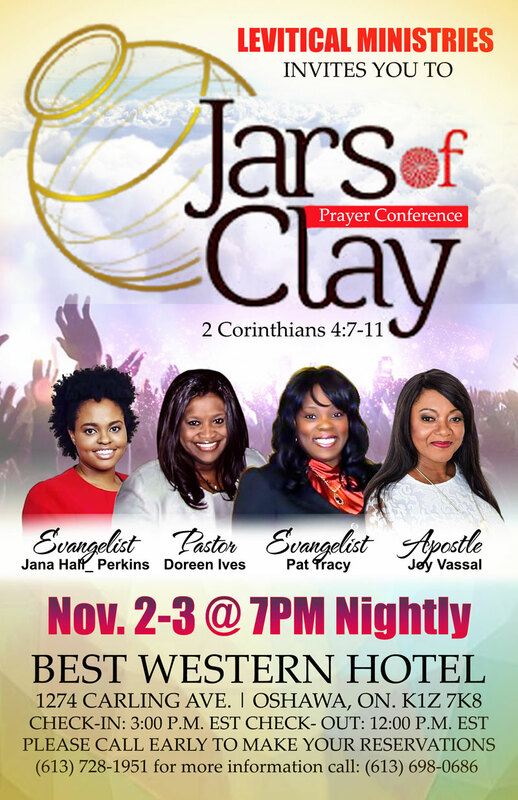 We invite you to a prayer conference on November 2 and 3, 2018 with a theme "Jars of Clay". Everyone is welcomed. For more information please call (613) 728-1951. 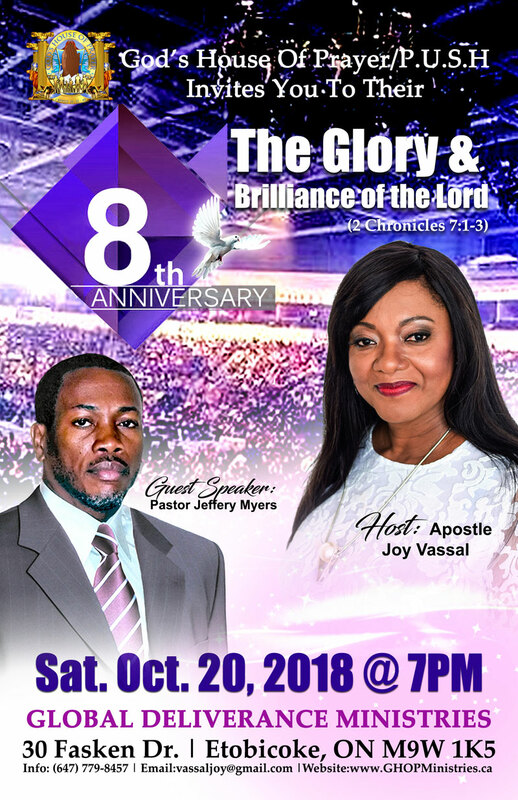 We will be hosting our 8th Anniversary on Saturday Oct 20, 2018 with a theme "The Glory & Brilliance of the Lord". Everyone is welcomed. For more information please call us at 647-779-8457. Sat. 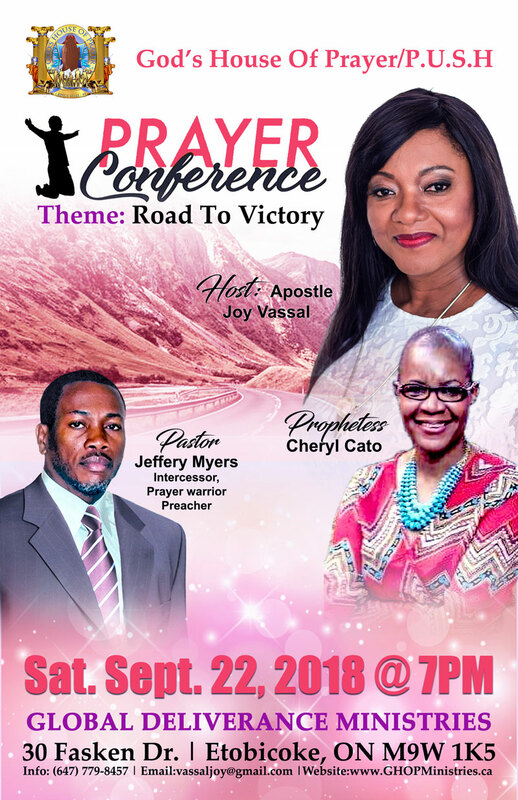 Sep 22, 2018: Prayer Conference "Road to Victory"